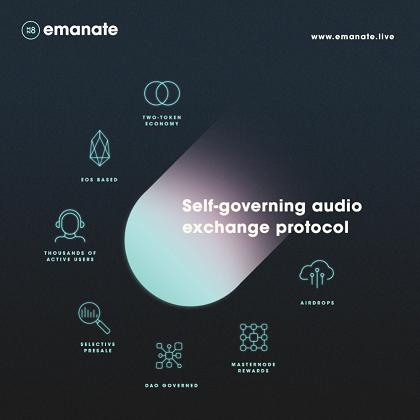 Emanate is the world’s first blockchain music production workflow and community enabling music creators to have a digital revenue stream through collaborations with each other free of trust seamlessly and monetize all parts of their creative work in real time, and connect with their fans in new possible ways. Emanate is definitely going to be a game changer and great solution for producers from around the world to collaborate on remixes, mash-ups and encourages the Mixtape culture for DJ’s. I’m personally looking so forward and excited to take part in this new revolutionary innovation to empower music creators, producers, remixers, DJ’s and more. Are you a Producer or somehow involved in the music industry? What are your thoughts on Emanate? Let me know in the comment box below. Kudos!